Alan Brunwin, a powerful advocate for children, seniors and the oppressed, works to improve the world for all. His books uplift us and give courage to keep going when all seems lost. 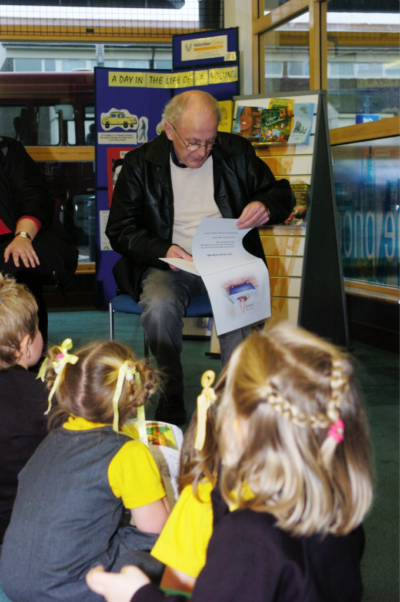 KIDS LOVE ALAN'S STORIES! CLICK on the books below to Read More and to ORDER! 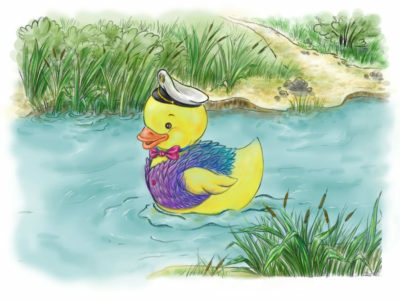 Simon the toy duck finds adventure awaits him as he leaves his bathtub and paddles into the real world. ‘Real-life’ ducklings laugh at him because he is different and has no feathers. 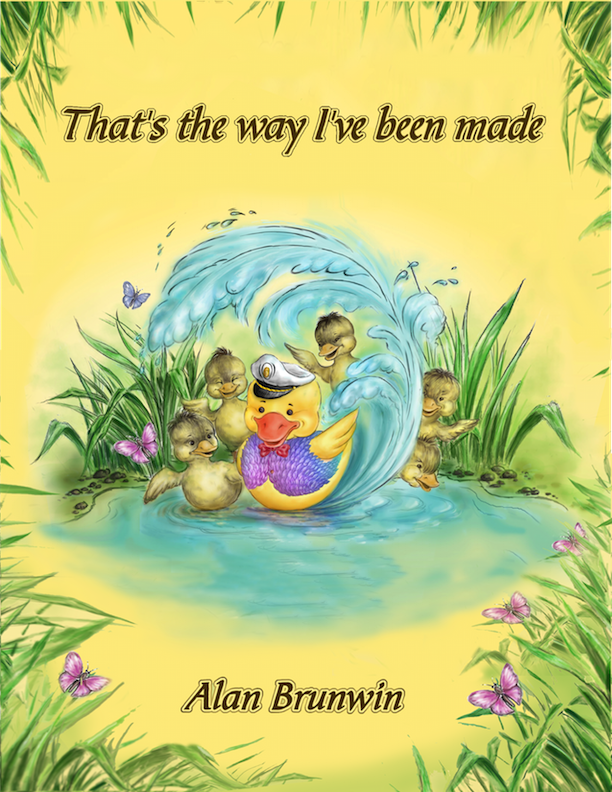 Simon declares, “That’s the way I’ve been made!” The ducklings may laugh, but an encounter with a sly fox helps them to discover Simon’s true worth as he saves them from becoming dinner for the Fox. A tale of courage and valor in the face of ridicule and misunderstanding. Available in paperback or ebook. 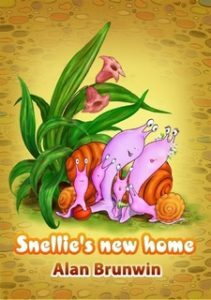 Snellie’s New Home is a delight for all who need a fresh dash of hope in troubled times! With the ups and downs of Snellie Snail, nothing seems to go right! A nasty broom seems to have it in for him and he must go in search of a new home. After a long journey, will he ever get back to his garden? Available in paperback or ebook. 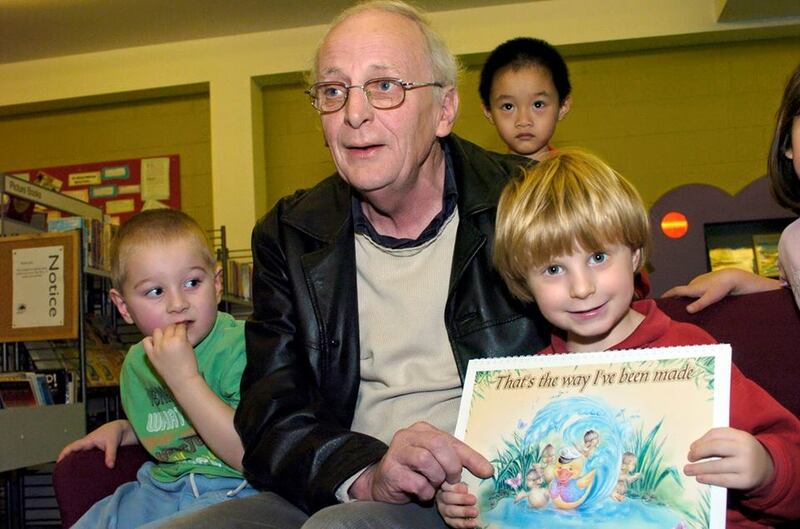 The kids LOVE it when Alan reads to them! – of hope in spite of trouble. that have warmed children’s hearts for years! Our charity is working hard to support those who have no one to fight for them. SIMON is coming along to help - will you, too? Here are people who have cheered me on! Christopher John Tarrant, OBE is an English radio and television broadcaster best known for the show "Who Wants to be a Millionaire", gave full support for Alan's Queen's Golden Jubilee song! 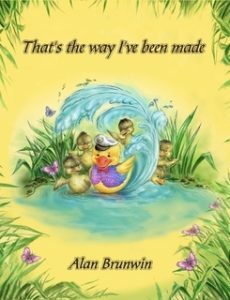 I treasure your kind letter in appreciation of the song "50 Years and Everyone Cheers" written for the Queen's Jubilee, the my poetry book, "Life's Journey's"
Brunwin Books was created to Champion Children’s dreams. Alan Brunwin, a powerful advocate for children, seniors and the oppressed, works to improve the world for all. His books uplift us and give courage to keep going when all seems lost.